Every year Inc. magazine ranks the 5,000 fastest-growing privately held companies in the U.S. This year, 15 real estate companies made the top 500 cut, while 190 made the 5,000 list. Companies who applied and were selected for the list are ranked based on revenue growth from 2012 to 2015. LinkedIn, Zillow, Yelp. What do they have in common? They were all Inc. 5000 honorees before they went public. 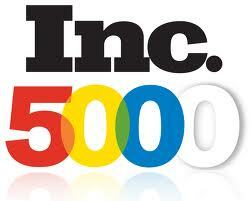 Every year Inc. magazine ranks the 5,000 fastest-growing privately held companies in the U.S. This year, 15 real estate companies made the top 500 cut, while 190 made the 5,000 list.